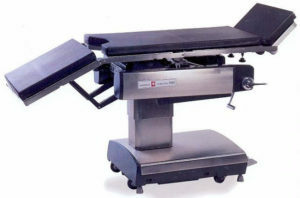 Skytron 6500 HD Hercules Operating Table | Refurbished. 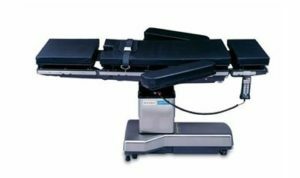 The Skytron 6500 HD Hercules Refurbished Operating Table is a modern surgical table with an 850 lbs weight capacity (in normal position). 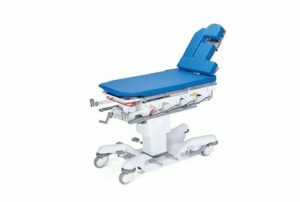 Features include wired hand control, 180º tabletop rotation, hydro-electric brakes, and C-Arm compatibility. The 6500HD comes with North American Side Rails which fit most accessories. 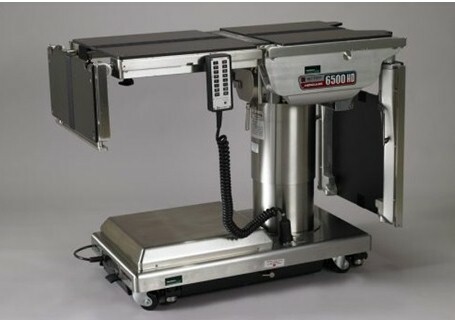 The Skytron 6500 HD is Completely Refurbished and comes with New Pads. 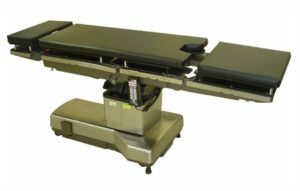 This surgical table is a multi-purpose operating table and a great choice for almost any surgical setting. See tabs for more information.